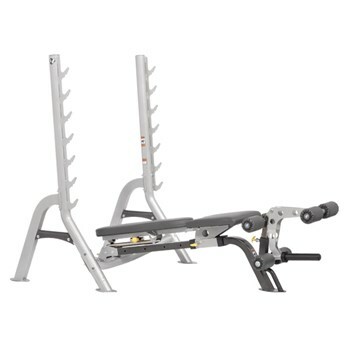 This Olympic bench gives you a variety of strengh-training options with utter support and durability. 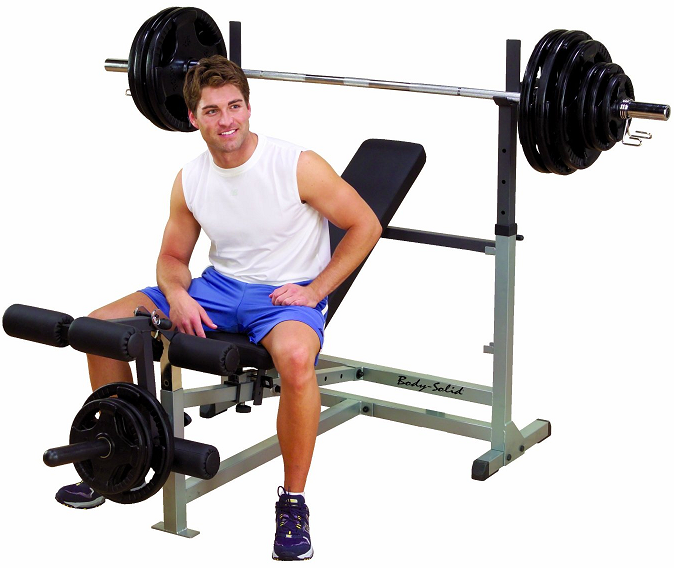 Olympic benches are bigger than standard benches and perfect for gyms and health clubs, or for serious home gyms. 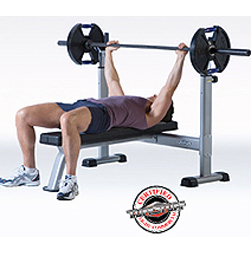 The Wide Combo Fold-up Bench is fully adjustable, with back support that shifts from a flat to a full position. 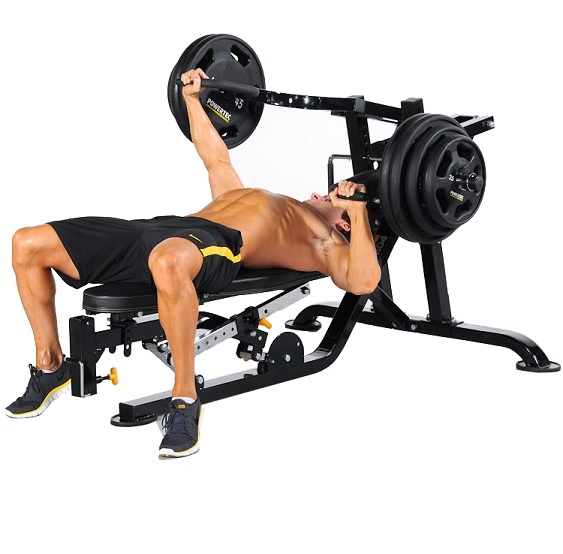 The Olympic Press Combo Bench gives a total body workout in a compact combo bench setup. 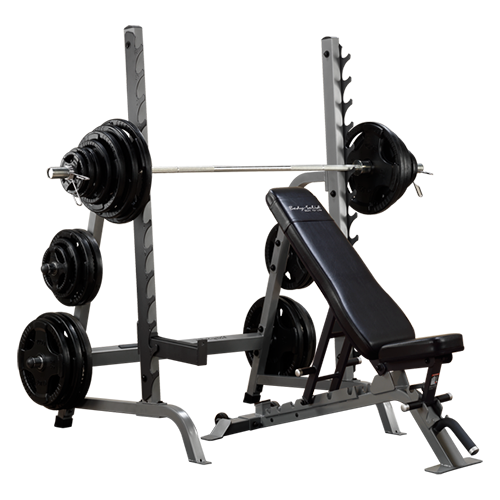 Combining a flat bench, incline bench, decline bench, shoulder press bench and seated leg developer in one machine, there isn't a lot you can't do with the Olympic Press Combo Bench. 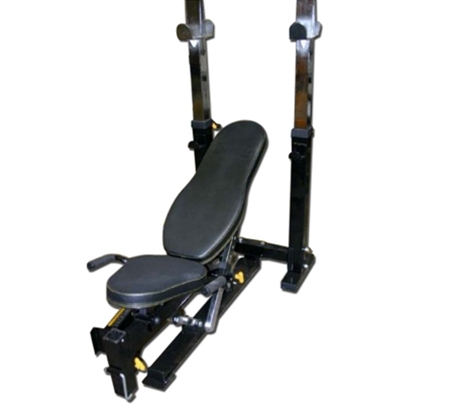 This Flat/Incline/Decline/shoulder Olympic Bench Press has eight adjustable back pad angles from -10º and 75º. 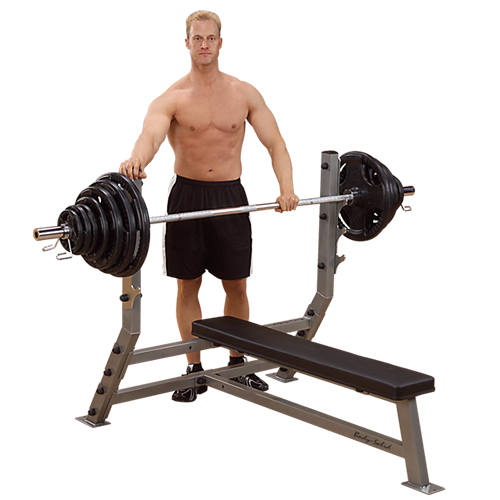 The top rack allows bar storage while bench is upright. 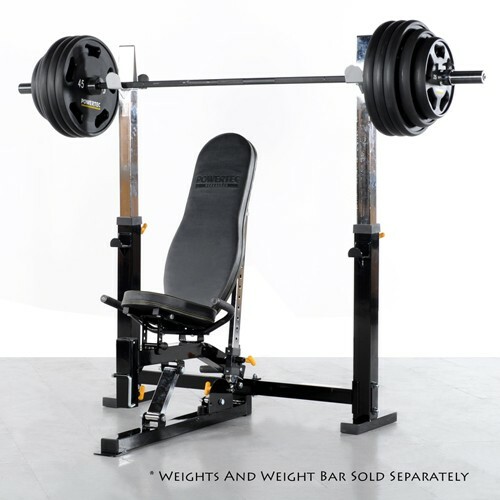 Fitness Professionals, Coaches and Trainers agree that the highly efficient Combo Bench/Squat Package by Body Solid is a perfect fit for any Fitness Facility.